As the growth of online SFA has slowed, Salesforce.com looks to customer service as the next billion dollar opportunity. This cloud focuses on customer service delivery, is designed around traditional case management processes and includes key support features such as live chat, knowledge base, customer portal, online communities and industry-best social media tools. The Service Cloud allows agents to answer questions on a company's Facebook page as well as convert Facebook wall posts and comments into cases within Service Cloud. The same functionality exists for Twitter and allows agents to create cases and share knowledge from Tweets and conversations. Service Cloud allows companies to embed the Social Agent into their web site for live chat between agents and customers. Service Cloud best fits B2B (Business to Business) contact centers already using Salesforce SFA and seeking to reduce labor intensive human services with more diversified—and more timely and less expensive—channels such as customer self service, online communities, public knowledge-bases and crowdsourcing. Social tools such as Chatter, Ideas, Answers and social network integration provide new methods and channels for engagement between agents and customers. Radian6 adds additional value in social monitoring and gives Salesforce.com uplift in more automated social customer engagement over more channels. Basic service contracts and entitlement capabilities can align customers with designated levels of service. However, this functionality will generally fall short for inventory-carrying organizations whose service contracts specify product SKUs or who require serial and lot tracking, product registration, warranty management, return merchandise authorization (RMA) or service level agreements. Salesforce Service Cloud lacks next-best-action and real-time analytics capabilities commonly requested for agent support. Also, because the Service Cloud is only available from the cloud, it is far less frequently deployed in larger, high volume B2C contact centers. Salesforce.com continues to demonstrate innovation with its social media and social CRM releases. Salesforce's approach to social media is to embed tools and capabilities within its platform and application software. The result is that social is both synergistic and indistinguishable from the core applications. Making social integral to core systems, as opposed to linking or integrating to third party social products, delivers a more seamless user experience and avoids the risk of layered complexity. Chatter is a real-time internal collaboration platform that brings together people and data in a secure, private social environment. Rather than making people search for data, documents and other people, information is proactively fed to subscribers via a real-time activity stream. Users can subscribe to follow important sale opportunities, top customer accounts, open support cases and other coworkers in order to receive broadcast updates as they occur. Users can form groups and post messages on each others' profiles to collaborate on projects and even subscribe to Twitter and Facebook feeds to track comments about the company or a prospect. Salesforce.com Ideas is an online community application that allows members to submit, discuss and promote ideas and empowers community organizers with the frequently cited but seldom achieved wisdom of the crowds. Participants can comment, share, rank and vote on ideas. What Ideas lacks in collaboration and functionality when compared to standalone ideation tools, it makes up in integrating the experience with the rest of the CRM software suite. This is a useful tool for companies which seek to harvest user generated content for innovation and other purposes. The Visual Process Manager creates workflows and approvals to deliver greater control over routine activities, eliminate redundant tasks, automate approvals, and encourage widespread adherence to your business processes. This is a useful tool to reduce manual activities and improve process consistency. Salesforce mobile CRM products include Chatter Mobile, Mobile Lite and Salesforce Mobile for both the Sales Cloud and the Service Cloud. Chatter Mobile is an app that displays self-subscribed Chatter feeds. The free Mobile Lite app enables simple viewing of account and service records. It fulfills a basic mobile need, but has limitations such as not supporting custom objects, only allowing editing of activity records and requiring an Internet connection. The Salesforce Mobile app comes with the Unlimited Edition or an additional fee and provides access to any app and any record, including custom fields, objects and tabs. The mobile CRM apps are effective and well designed for mobile form factors, however, if would be helpful if Chatter Mobile were integrated with the other two mobile apps. Salesforce.com has adopted an HTML5 application direction. This technology strategy is designed to supplement the native iOS and Android apps. In conjunction with HTML5, the company also offers touch.salesforce.com — a mobile strategy that will render Salesforce.com and native Force.com applications on touch enabled devices such as the iPad. This 'write once, read everywhere' HTML5 technology supports cross-platform adaptability and both read and write permissions and will certainly tap into the continued iPad and tablet growth market among CRM users. Salesforce.com provides an integration component for Microsoft Outlook called Salesforce for Outlook. This tool replaces the older Outlook Connector. Unlike previous versions of Outlook Connector which run as Outlook add-ins the new software also has a system tray configuration component. Salesforce.com has dropped email integration from some lower-end CRM editions. Email support is still available with the Outlook Connector but no longer in all editions when using Salesforce for Outlook. The offline edition keeps SFA users connected to their account information even when they're not connected to the Internet. This solution supports custom objects and master-detail custom lists offline as well as data encryption and simple conflict resolution rules for when the offline laptop reestablishes connectivity with the network CRM system. At the time of this Salesforce review, this capability is included with the Enterprise and Unlimited editions. The company enjoys a strategic relationship with Google. Salesforce was the first to integrate its marketing function with Google Adwords in order to increase lead tracking and calculate ROI for adwords. Salesforce is also a reseller of Google Apps for Business, and has created good integration to these apps. 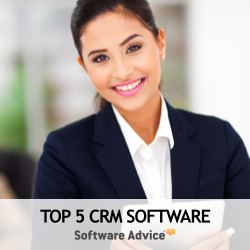 However, competing CRM vendors such as SAP, NetSuite and others also offer integration with Google Apps. In fact, taking Google integration a step further, NetSuite's product can use Single Sign On and other user identity services within the Google environment. Salesforce.com vertical market solutions are available for communications, financial services, healthcare and life sciences, high tech, manufacturing, media, government and retail industries. Industry solutions must be vetted particularly carefully as they differ greatly in terms of third party software reliance, integration and support. Salesforce.com's approach to social media is to embed tools within its platform and application. The result is a social CRM solution that is both synergistic and indistinguishable from the core CRM software. Making social integral, as opposed to linking or integrating to third party social products, delivers a more seamless user experience and avoids the risk of layered complexity.